What’s the biggest barrier holding you back from boards? 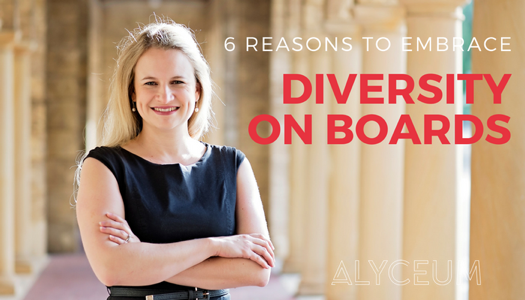 Having coached many young professionals seeking board positions, I can tell you the biggest barrier holding many people back….and no it’s not their skills, their networks, their experience or their education. It’s their own personal belief that they have no value to give. I can’t tell you how many people tell me they are worried they might not bring enough value to the boardroom. I admire their humility and it is often the most amazing leaders who show this humility too! In the Board Ignition online course, I have interviewed some super experienced directors from around Australia. I wasn’t surprised to hear that Dr Sue van Leeuwen had also experienced this hesitation by prospective board directors. By the way, Dr Sue van Leeuwen is an inspiring business and community leader with 25 years experience on a range for boards. Listen to her articulate the problem and what she suggests to aspiring board directors. So as Sue says, say yes! Be aware, connected and interested. Ask questions, do your homework AND get ready to learn and work hard! So how do you overcome feelings of self doubt? In the Board Ignition online course, we have a process to understand your board value proposition. This includes your professional skills, networks, education, passions and strengths. We do a lot of thinking about the value you bring, so it’s clarified in your own mind, it’s easy to communicate this to a prospective board and once you get onto a board, you can begin being a proactive board director from day one! Ask experienced board directors or mentors for feedback on your skills and what you can do to become highly valued in the board room. Most of the time, it’s easier for other people to see the value that we can offer so having a mentor highlight this for you is priceless! Yes you may have value to offer but you might need a little work to connect all the dots!! Learn more about the Not for Profit sector, board governance and board leadership. Develop your network and build your own self awareness about how you are perceived in teams. Don’t let a lack of confidence get in the way of your board journey. Are you ready for your first Board appointment? Check out our Board Ignition online course – a 8-module self paced online course designed to fast track your journey to your first board appointment.